On Friday 20th December I attended the press performance of Beauty and the Beast at the Dukes, a family-friendly musical to mark the start of the festive season. Every year The Dukes adapts a classic story for Christmas, in the past they have staged Treasure Island, A Christmas Carol and Cinderella. 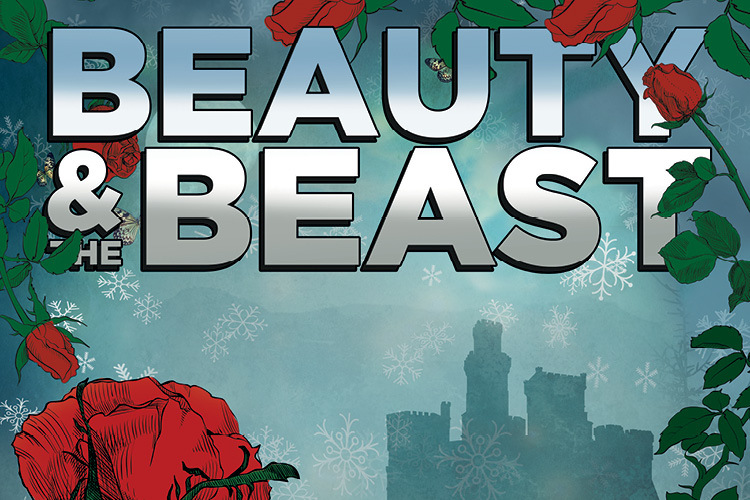 This year was no different and Beauty and the Beast was pure, unadulterated fun from start to finish, perfect for this time of year! Since I was young, Beauty and the Beast has always been my favourite fairy-tale (mostly because I wanted to be Belle) and the 1995 Disney adaptation is a timeless classic for many people. However, fans of that version may be disappointed as the iconic songs are absent and the story more closely resembles the 220-year-old original by French novelist Jeanne-Marie Leprince de Beaumont. Despite this, the plot flows extremely well and there was never a lull in terms of energy and enthusiasm from the actors. The scene transitions were timed perfectly and the use of sets and lighting to suggest the isolation of the Beast’s castle were brilliantly done. This was certainly a great achievement considering that the play took place in The Round which limited the size of the stage, but the director did a wonderful job of ensuring that the whole space was used efficiently. The Beast’s makeup, while not very realistic, complimented the actor’s performance who used his movements and voice rather than facial expressions to create a sinister but secretly vulnerable character. There was a great deal of humour and slapstick in the play but I never felt patronised and there were some genuinely funny moments which had most of the audience in stitches. My friend and I found the farcical court scene particularly hilarious. The story was retold with a great Lancastrian twist with none of the actors attempting to disguise their Northern accents and the many references to Preston and Morecambe were well-received by the adult audience. My favourite addition to the story was the fact that the Beast was a famous actor who, after letting the fame go to his head, needed to learn how to care for others again. The songs (which were completely original) were also surprisingly catchy although I wish there were more of them. Overall, Beauty and the Beast is a wonderful piece of evening entertainment that I would thoroughly recommend whether you are a fan of the original story or not. The performances are excellent, the humour is spot on and the production values are excellent. Also, you get free biscuits from one of the ‘enchanted objects’ on your way out…..bonus!